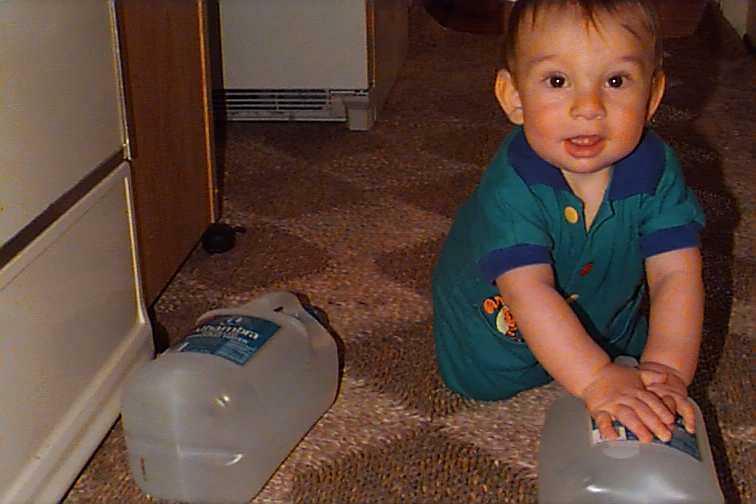 He's a strong kid, and playing with 1.5 liter bottles of water just makes him stronger. Here he's driving his water bottles around our kitchen, by the dishwasher, on our sea grass floor covering (that tan plaid pattern you see). 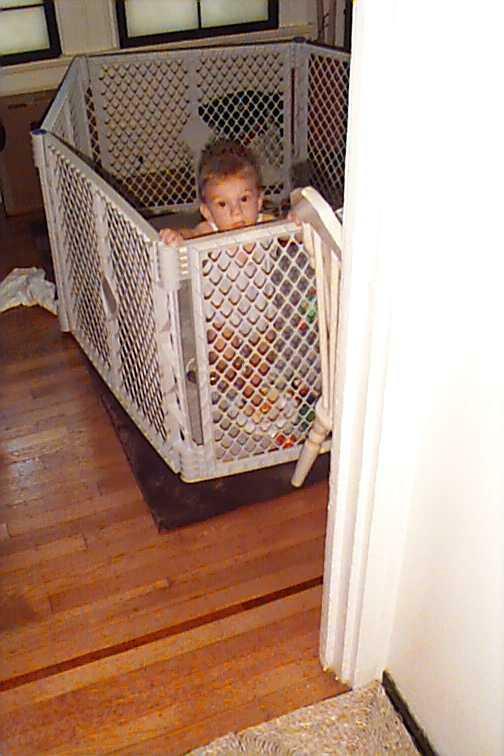 Because he's now really starting to crawl at high speeds around the house, and beginning to pull himself up on drawers, we've gotten him a SuperYard playpen. Here you see him fenced in, on a comfortable carpet, in our living room. The pen's walls are a soft plastic, and he doesn't hurt his nose or teeth like the wood of his crib does. 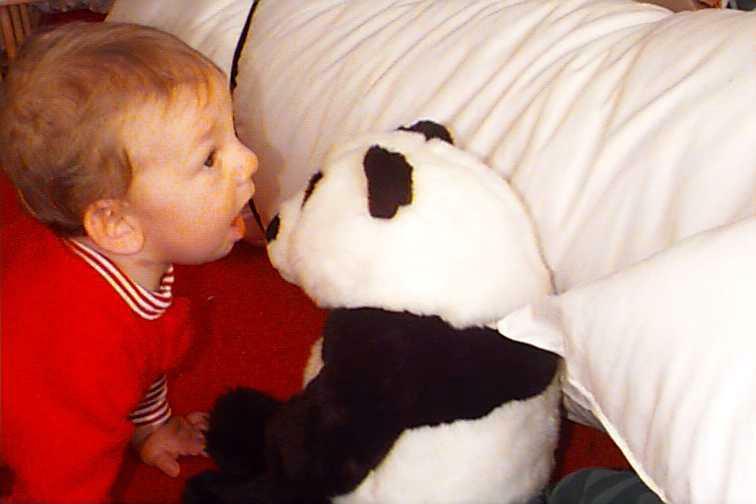 When Rose put this stuffed panda bear toy in front of Isaac he'd crawl up to it and mouth its nose. Again and again. Our funny boy.